With over 141 million cooperators in Europe, the contribution of cooperative enterprises to the EU is undeniable. As support and investment from the European institutions is crucial to the development and visibility of cooperatives not only on the EU level, but worldwide, we interviewed Commissioner Elżbieta Bieńkowska, responsible for Internal Market, Industry, Entrepreneurship and SMEs, to talk about the past, present and future opportunities for cooperatives with the EU. Read what she has to say on entrepreneurship, social economy, collaborative economy, SDGs and the Future of Europe below. CE: How could the European entrepreneurship policy further support the cooperative sector, in areas such as education, financing, gender or youth? EB: The Commission is working to create a more entrepreneurial culture in Europe and to encourage more people to set up their own companies. That is why we support the introduction of entrepreneurial education in schools across the EU and work to make the right training, skills and support available to people. We encourage the sharing of best practices and offer tools to support countries, regions and educational institutions in this field. We hope that entrepreneurs from the cooperative sector will make better use of these initiatives, as these can make it easier for them to run their business. This will also promote the diversity of the European business landscape. For example, we believe that strengthening the cooperation between universities and businesses is crucial for reducing the skills mismatch, developing an entrepreneurial mind-set and, ultimately, for driving innovation. The cooperative sector should take advantage of the various European instruments and programs available to foster this type of cooperation (e.g. "Erasmus +", Knowledge Alliances). A lot of support is already available to businesses, including cooperatives, but they often do not know about it. One of our big challenges is to reach out to all types of entrepreneurs and raise awareness of the EU instruments and programs they can use. I am very much counting on the support of Cooperatives Europe in this respect. CE: In November 2016, the European Commission has released the Communication " Europe's next leaders: the start-up and scale-up initiative". Social Economy, where cooperatives are key players, are mentioned as a sector to boost in order to stimulate growth. Could you please state and elaborate on the main actions foreseen and more specifically for cooperatives? EB: Indeed, the social economy needs to be promoted across Europe and beyond. Following the Commission's Communication "Europe's next leaders: The Start-up and scale-up initiative" and the work of our Expert Group on Social Entrepreneurship (GECES), we have started to implement various projects to boost the social economy and support social economy stakeholders. We focus on the following areas: access to funding, access to markets, improving framework conditions, fostering social innovation, technologies and new business models and working on the international dimension. As regards cooperatives, in 2017, we ran a pilot project improving the environment for transforming traditional businesses into cooperatives and raising awareness about the benefits of the cooperative model in Europe. This year we are implementing a pilot project which aims to reduce youth unemployment and focuses on the set-up of cooperatives. We do so by promoting cooperatives in secondary schools and universities as an enabling way to start a business. On top of that, we are also active on the international scene. In 2016, the Commission signed a partnership agreement with the the International Cooperative Alliance (ICA) for the period of 2016-2020. This agreement recognizes cooperatives as strong development actors and will further strengthen the movement worldwide. It will also enhance its visibility and increase its capacity to speak out within global and regional development policies and processes. CE: The EU has to maintain traditional industrial activities but also adapt to new evolution, collaborative economy being one of them. How should collaborative economy be addressed at European level? How can the European Commission support cooperative to contribute to a sustainable development of the collaborative economy? EB: I see the collaborative economy as offering immense opportunities for consumers, entrepreneurs and traditional businesses. But many still see it as a threat to established business models. That is why our 2016 guidelines on the collaborative economy aimed at ensuring the balanced development of this business model in Europe by offering clarity on the legal framework applicable. We made it very clear that the collaborative economy could not become the grey economy. We did not advocate for exemption from regulation or taxation, we asked for justified and proportionate approaches. The success of many collaborative platforms can be challenging for existing market operators and practices, but most often the collaborative economy enables individual citizens to offer services and promotes new employment opportunities, flexible working arrangements and new sources of income. It can encourage more asset-sharing and more efficient use of resources. Within the collaborative economy ecosystem, we see opportunities for more ‘socially inspired’ alternatives, using this business model. Social economy actors have become quite active in the collaborative economy. The collaborative aspect of the activity can bring people together and improve their lives. While doing so, these socially inspired collaborative platforms go beyond the well-known profit-driven model and add a social impact, just as their colleagues do in the traditional social economy businesses. To further support the sector is this sense, we are currently preparing a study on “New technologies and digitisation: opportunities and challenges for the social economy and social enterprises”. The goal of this study is to benchmark and diffuse initiatives and policies on global, European and national level to promote successful approaches to social economy and social enterprises using new technologies. This study will also address the future of social economy and digital cooperative economy platforms. CE: Cooperatives are sustainable enterprises that are owned and run by their membership, and are built on values that encourage cooperation, empowerment and solidarity, rather than just profits. Does the Commission think they have a role to play in the implementation of the 2030 Agenda for Sustainable Development and the Sustainable Development Goals (SDGs) along with other private sector enterprises? EB: The 2030 Agenda for Sustainable Development includes 17 goals to end poverty, protect the planet, and ensure prosperity for all. I strongly believe that cooperatives are key partners for achieving this Agenda, since their values and principles run parallel to it. As value-based and principle driven organizations, cooperative enterprises are by nature a sustainable and participatory form of business. Cooperatives foster democratic knowledge, practices and social inclusion. They have also shown resilience during the economic and financial crisis. Cooperatives are for instance successful in poverty reduction initiatives (Goal 1) and contribute towards gender equality by expanding women's opportunities to participate in local economies and societies in many parts of the world (Goal 5). Cooperatives also play a significant role in job creation and income generation by promoting sustainable livelihoods. They contribute to food security by helping small farmers to solve numerous challenges they face when producing food (Goal 2 and 8). There are also many other ways by which cooperatives can support the 2030 Agenda that could be specific to their engagement such as in health or renewable energy. For all these reasons, cooperatives can be seen as a business model contributing to social, economic and environmental sustainability. That is why co-operatives need to be promoted as they offer an entrepreneurial mind-set that goes well beyond simple job creation. 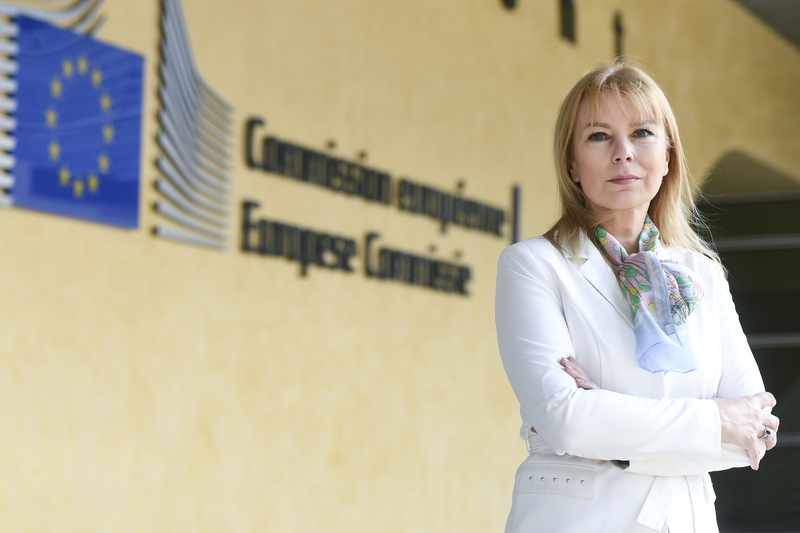 CE: Concluding, Commissioner Bieńkowska, what’s ahead of us? The European Union is facing a lack of confidence from citizen’s opening the door to populism and the EU economy recovery is unevenly distributed across society and regions. We recently introduced our vision of Europe to Vice-President Katainen, calling for a Europe closer to citizens. How can we mobilise around Europe? EB: First of all, let me thank you for your Call for Actions and contribution to the future of Europe. We appreciate when stakeholders work together with us on building a strong and sustainable European economy that delivers jobs and growth. As President Juncker said “Europe is more than a single market. More than money, more than the euro. It was always about the values.” Therefore, I am convinced that cooperatives have a role to play in the future of our continent as people-centred enterprises upheld by their values and principles. Indeed, many principles that are enshrined in the European Treaties are shared by the cooperative movement. Cooperatives do not only respond to market failures but are a model for community development rooted in solidarity, social progress or democracy. The Commission fully recognizes the important and positive role of cooperatives as vehicles for the implementation of many Community objectives. Therefore, together with the cooperative movement, we should continue to propose adequate solutions to the citizens with regard to the challenges Europe is currently facing. In doing so, we will be able to sustain the dream of European unity.